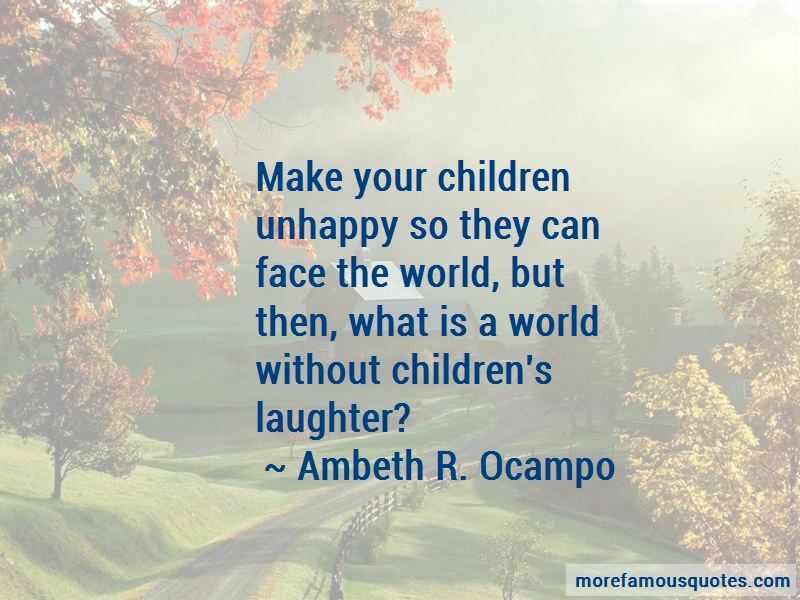 Enjoy the top 25 famous quotes, sayings and quotations by Ambeth R. Ocampo. 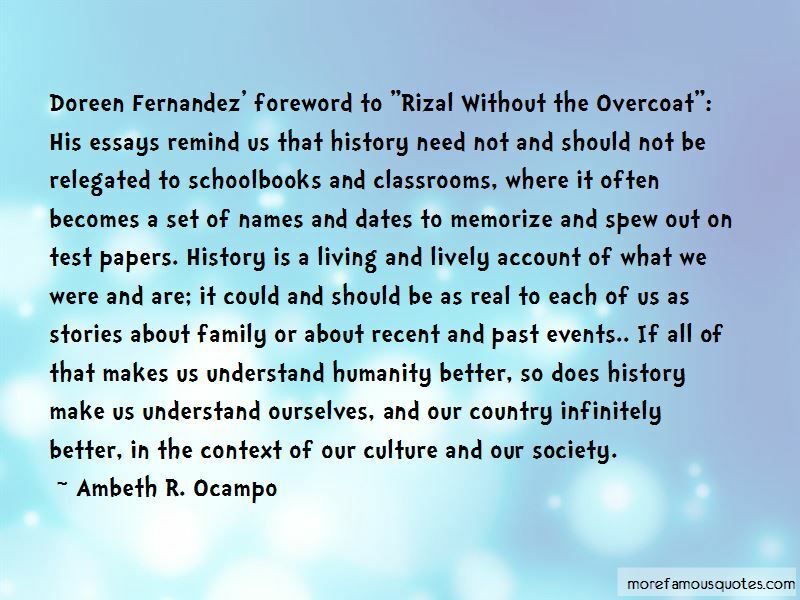 We make Rizal in our own image and likeness. Our image of Rizal is usually formed or deformed in school through numerous biographies with flattering titles. Rizal's greatest misfortune is being national hero of the Philippines. Mahirap ngayon ang educational system. They're out for the degree, not knowledge. Reading gives us the furniture of our minds. Reading can spell the difference between independence and slavery; liberation and isolation. Without reading, our history would have turned out differently. Reading made and shaped our heroes. Reading liberates. These Filipinos will be your worst enemies if you commit the imprudence of attacking the Spaniards without the necessary preparation. 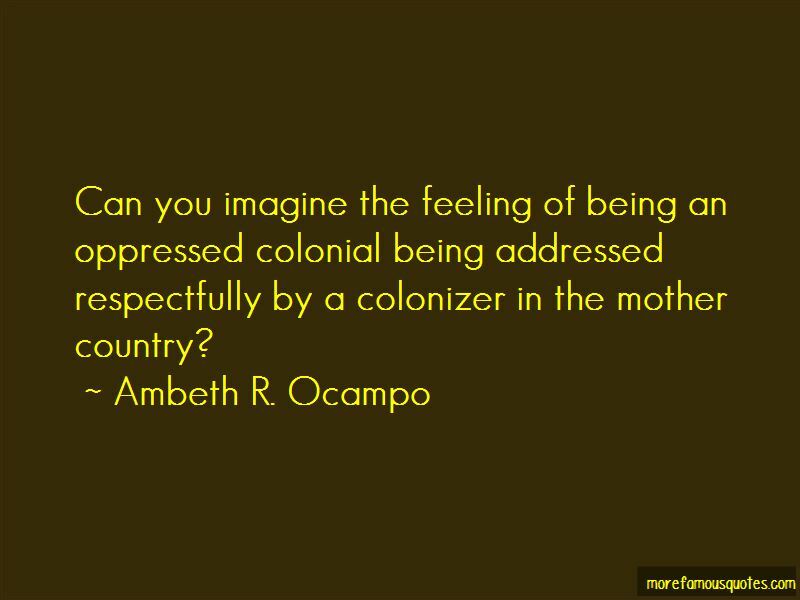 Want to see more pictures of Ambeth R. Ocampo quotes? 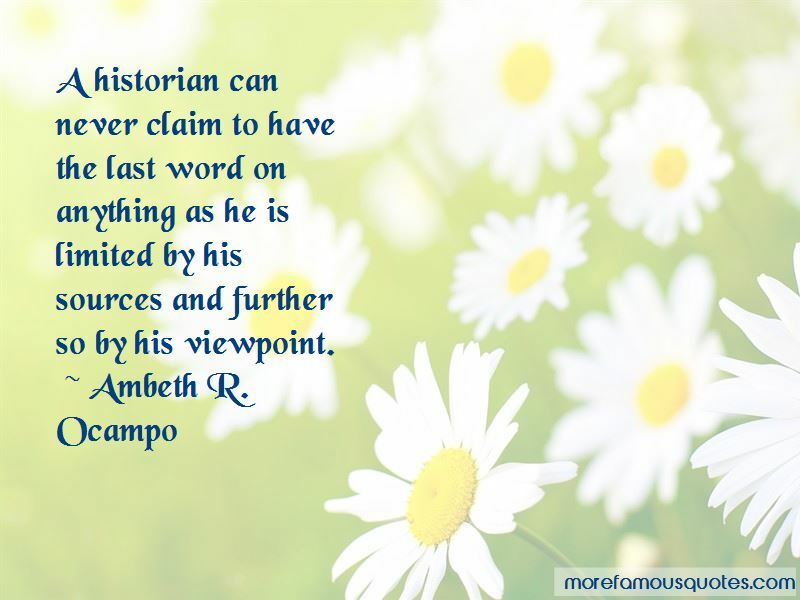 Click on image of Ambeth R. Ocampo quotes to view full size.